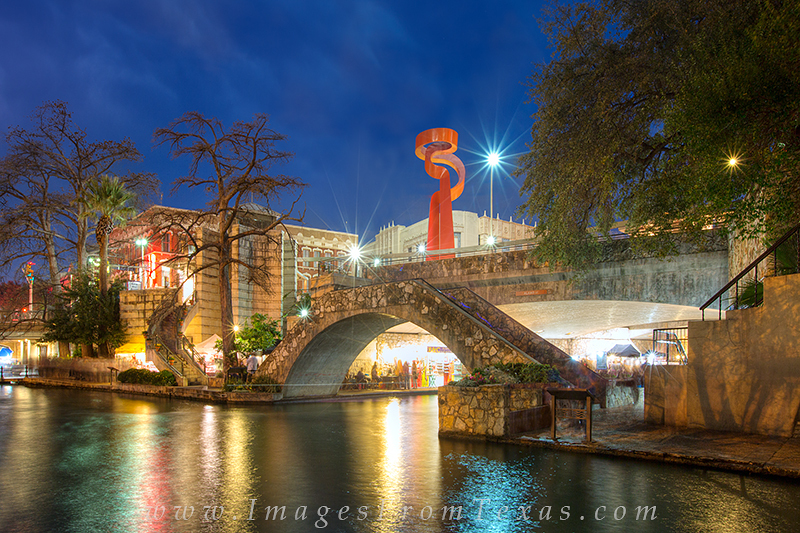 Rising as a reminder to all, the Torch of Friendship stands tall along San Antonio's famous riverwalk. on a wonderful March evening. Photo © copyright by Rob Greebon.